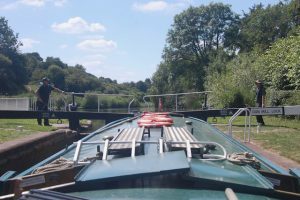 Would you like to join the crew on The Rose of Hungerford and help us to help others enjoy the beautiful Kennet and Avon canal? No experience necessary. If you are over 16, enjoy boats and being on the water, this opportunity could be for you. Experience the fun of working as part of a team, enjoy the opportunity to chat with our guests and help this very important charity. 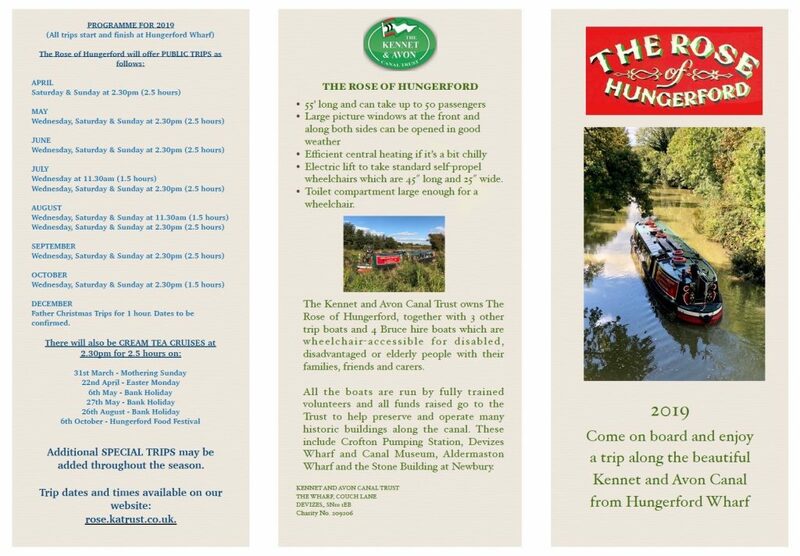 We’re looking for Volunteers who would like to be involved in the operation and running of The Rose of Hungerford boat. There are various roles to get involved with including helming, outside crewing, operating locks, servicing and maintenance, inside hosting, looking after our guests, manning the bar, serving food and drinks or even becoming a Skipper by qualifying as a professional Boatmaster. Full safety training will be given, as well as training in whatever role you choose. Most of our volunteers are trained in multiple roles so no two trips are ever the same. 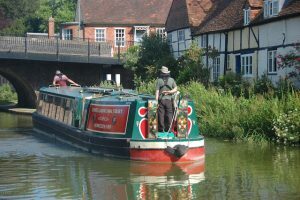 The Rose is a 55’ wide beam boat, owned by the Kennet and Avon Canal Trust, that offers private charters and regular public trips along the Kennet and Avon Canal for up to 50 people of all ages, able-bodied and disabled. Trips vary in length and give passengers the chance to enjoy a slow and relaxing view of the canal, and all it has to offer; bridges, locks, wildlife and spectacular scenery. The Rose has a fully equipped galley and licensed bar and can offer hot and cold drinks and snacks; charter trips can be catered or self-catered. The boat has an electric wheelchair lift and disabled facilities on board. The Rose carries over 6000 passengers a year and contributes about £40,000 to the Kennet and Avon Canal Trust. The boat is entirely run by fully trained volunteers who do it because they love it. Every penny raised by The Rose goes directly to the Trust. The Kennet and Avon Canal Trust is a registered charity and hopes to hear from you soon. 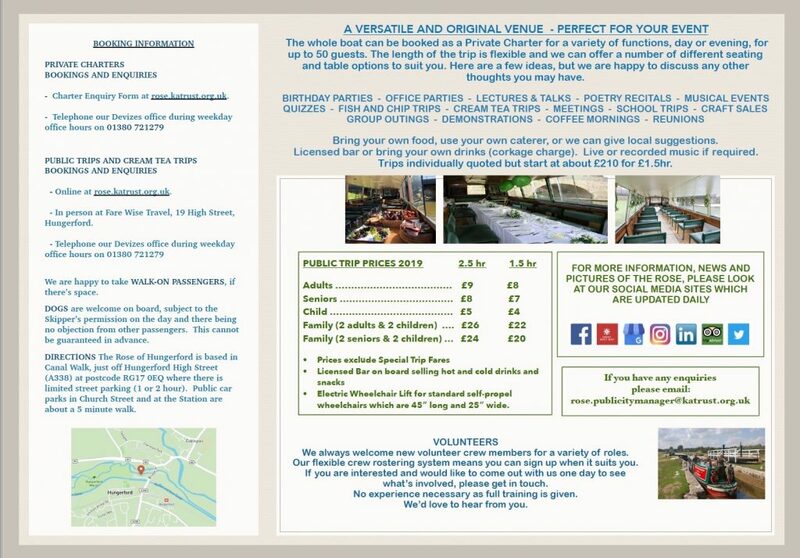 If you would like any more information or would like to come out on The Rose one day to have a go, please get in touch with Tony Hill, our New Volunteer Coordinator, who you can contact by phone on 01793 534148 or by email at anthony.hill546@btinternet.com.